A trio leads them: Terre South's Lily Barton, center, leads the pack with Charleston's Julia Griffin, left, and Mt. 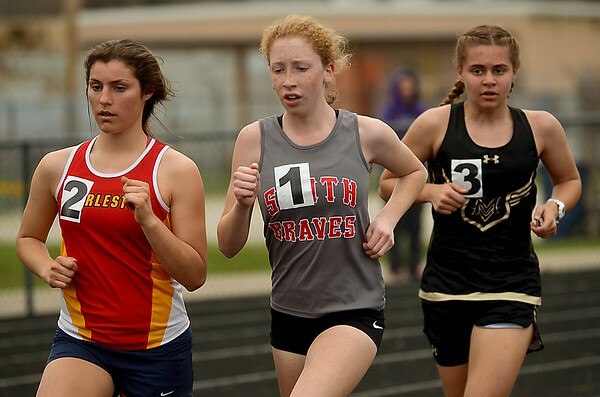 Vernon's Rilee Hartman during the girls' 3200-meter race on Saturday at Terre Haute North. Barton won the race with a time of 12:46.38 minutes.